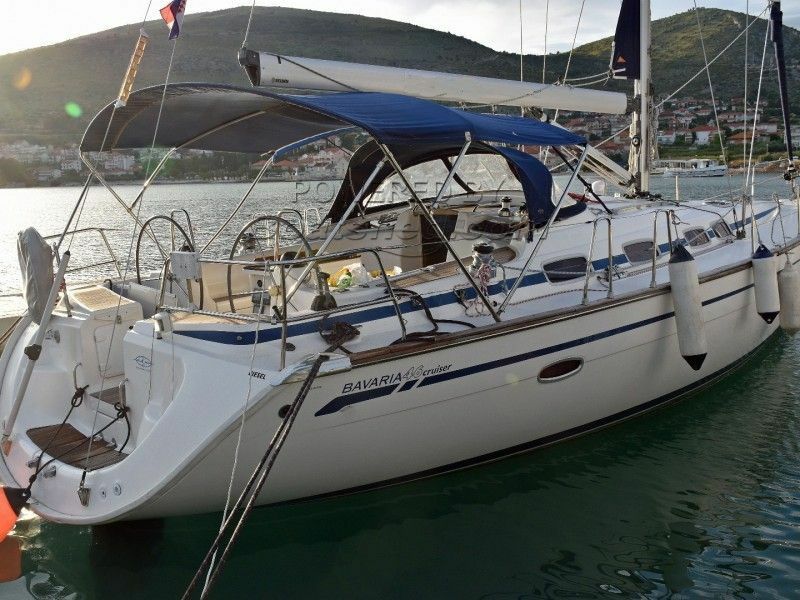 Bavaria 46 cruiser is big, comfortable, well fitted and dedicated to the enjoyment of life afloat. Onboard kit includes bow fitting with anchor roller, four cleats with fairlead, two spring cleats amidships, four self-tailing working winches (two-speed), tensioners and lines led to the cockpit, self-draining anchor locker, double locker seat in the wide cockpit, and a self-draining gas cylinder container. Stepping below decks, all cabins are very spacious and there is a very functional galley with cooker, oven, stainless steel sink, cooling box and a refrigerator. The chart table has a large compartment for nautical charts and navigation instruments with more stowage underneath the seat. The Bavaria 46 Cruiser is a very good example of a modern cruising yacht - it is fast and comfortable while being stable at all times.